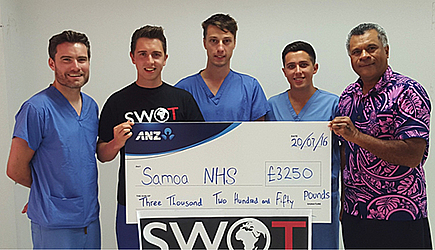 The National Health Service (N.H.S) was the recipient of a generous donation from a group of visiting medical students, in the country on their medical elective, learning about Samoa and its health issues. The four final year medical students from Queens University in Belfast visited the Tupua Tamasese Meaole Hospital. And during their stay, Cathal O’Hagan, Conor Crawford, Edward Barrington and Padraig McGuinness, donated a generous sum of $11,000. 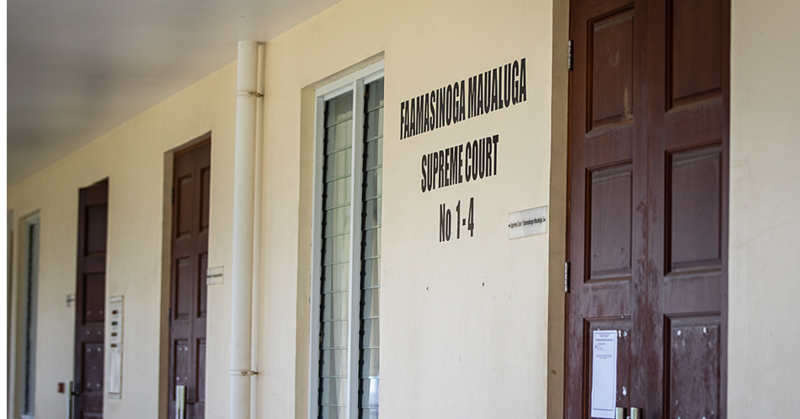 These funds are ear marked within N.H.S for priority clinical areas and include accessing an ultrasound machine for use in Rural Savaii health facilities to assist with addressing women’s health issues. The N.H.S, with the Samoa Medical Association and the Faculty of Medicine- National University of Samoa, facilitate and host overseas medical students from all over the world sharing knowledge and teaching about medical issues within Samoa and the Pacific Region. 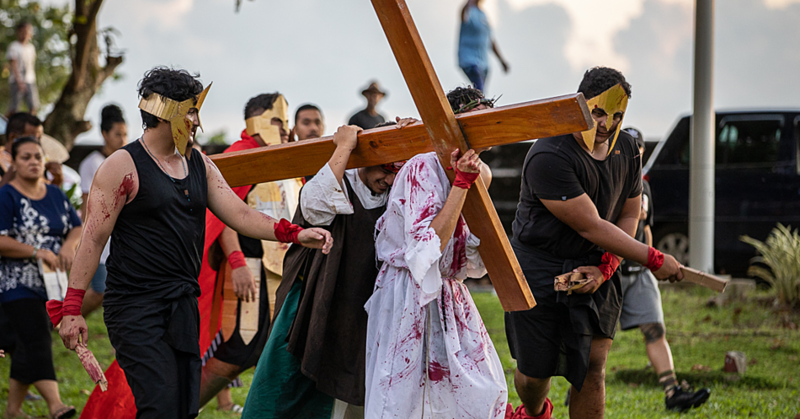 The students, and currently there are 15 students from Europe and New Zealand on island, visit our shores where they spend several weeks, some as long as 12 weeks, in a learning environment with our clinicians and engaging with our health workforce and our medical students to learn more about Samoa and the medical issues we face. The exchange is mutual as we learn more about the countries they come from. This relationship has been ongoing for many years, over twenty years, and continues to strengthen from day to day. The N.H.S, S.M.A and F.O.M-N.U.S thank the visiting medical elective students and look forward to hosting more students. S.W.O.T (Students Working Overseas Trust) is a 32 year old medical students charitable society from Queens university Belfast in Northern Ireland. SWOT raises money for medical projects in other countries all around the world. Every year, they sponsor projects in foreign countries, using the mechanism of medical students visiting these countries on their electives. In total, this year alone, S.W.O.T has donated $165,000 to projects in less developed countries all around the world.